It is a fact that the condition of our eyes determines what other people assume about you in terms of youthfulness, beauty and lifestyle. So how best to reverse the signs of ageing of our skin? Options include: non surgical blepharoplasty (eyelid improvement) using Plexr plasma technology or for more challenging skin appearances, consider non surgical cosmetic face lift using Plexr in combination with Mixto CO2 Laser for a full face treatment, not just eyes. Which description best describes the condition of your skin around your eyes? 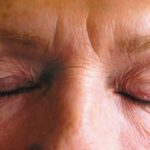 If you have one or more of the above conditions, then non surgical blepharoplasty could be your best option. Plexr is much more affordable. 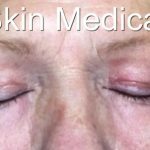 Shrinking of skin is achieved by tiny lightening strikes to the lax skin causing the excess skin to turn directly from a solid to a gas, causing the skin tightening effect without cutting or stitches. Prior to treatment patients are provided with numbing cream to desensitise the target area making the experience more comfortable and manageable. An experienced clinical practitioner focuses the energy strikes to obtain desire effect and optimum outcome tailored to patients specific needs. Treatment time depends on surface areas to be covered however normally takes between 30 minutes and 45 minutes depending whither upper/lower bleph or both upper and lower. After treatment, patients have their liquid camouflage medical makeup applied which is used to aid healing process and allows patient cover up signs of treatment. During course of next seven days or so the body generate a protective scab over the treated area which then falls off revealing new ‘baby type’ skin that reveals fresher, more youthful appearance. Best results are normally evident within additional 3- 4 weeks and this is patient dependant. Results last as long as traditional blepharoplasty surgery results. Patients undergoing Plexr may be interested to know that Full face Skin Texture improvements are achievable by opting to have CO2 laser Skin resurfacing treatment to surrounding face to improve skin quality, laxity and texture.